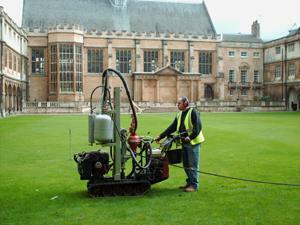 The Head Gardener at a Cambridge University college is conducting a unique experiment in a bid to combat the effects of global warming. 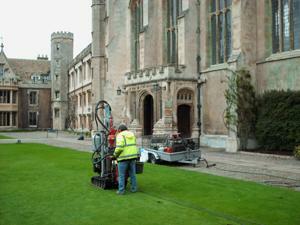 Two years ago one of the lawns had to be re-laid and the college took the opportunity to incorporate a water holding material into the rootzone. Although, due to the weather George hasn�t been able to assess the success of this venture he has initiated a comparison study using a similar material.